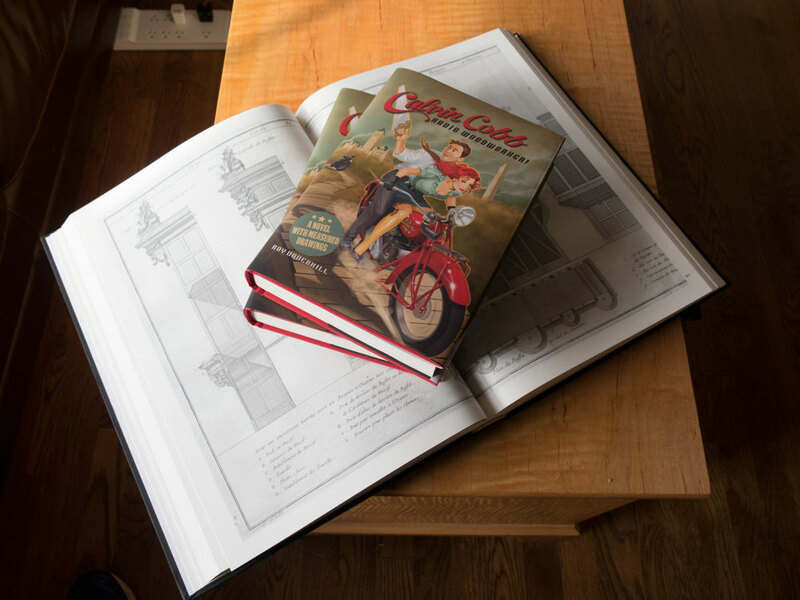 For those of you who placed a pre-publication order for “The Book of Plates” or “Calvin Cobb: Radio Woodworker!” this information is for you. We’ve heard from several customers that they have not yet received their copy of Calvin Cobb, especially customers on the West coast. Here’s the straight dope: We printed the labels on Nov. 13. All of the books were packed and put into the mail stream on Nov. 14. They were sent Media Mail, which can be slow this time of year. And it is probably especially slow this year because of reports we are hearing from other shippers. Media Mail can take up to 14 business days to reach you. So I wouldn’t be concerned until after Dec. 1. We apologize that we cannot speed this up. Our shipping company has boxed all of the pre-publication orders and delivered them to the postal service as of today. These also are being sent Media Mail, so it could take a couple weeks for you to receive your book, especially if you live out West. Thanks for your patience. We’re happy that you really want your books, and we’re doing everything we can to get them to you. This entry was posted in Calvin Cobb: Radio Woodworker!, To Make as Perfectly as Possible, Roubo Translation. Bookmark the permalink. Thanks Chris, I have a Calvin Cobb on order but I suspect it will be a week longer than estimated. Someone has to whip the brown government mule up Katy Hill to get to Humboldt, KS. I received my copy of Calvin Cobb yesterday (Tuesday). Wow. Yours was on a fast boat. Guess I’ve just been taught a lesson about placing pre-publication orders with LAP. Not following. We have filled all the orders in the order in which they were received, within 24 hours of receiving the books at our warehouse. Sorry, confusion was apparently on my part. OK, I have now figured out Larry’s problem. He thought that pre-publication orders were shipped via Media Mail and other orders were shipped by a faster method. All orders of books are shipped Media Mail – and have for the last seven years. We have to ship apparel by another class of mail, but all books go by Media Mail, no matter when you order. Just received delivery of my Book Of Plates 5 minutes ago. Haven’t opened it up yet. Going to make a ceremony out od it!!! Yeeha. Got my Book of Plates today. Thanks to the custom shipping box, the post office was unable to destroy the contents, despite their repeated and most diligent efforts. A single small dent to the cover’s edge was easily massaged out with finger pressure. The workmanship is truly magnificent! Thanks for all you do. My Book of Plates arrived earlier this afternoon. I had every intent to post a comment, but I kept enjoying the Book of Plates. OK Bye FYI if yours is on the way work on upper body strength before it arrives. Thank you very much Chris the book of plates came yesterday. The box was a little ripped but the book was fine. I now understand the problem with shipping it is one BIG book. It will be something to pass on to my grandchildren. I am glad we will be able to pass on the history you have provided us with. It would have been a shame to have let it get lost.. Thanks again. I hope you and your family have a wonderful holiday season.. Look forward to the new year.. This is a great site. thank you..
We had a batch of books that disappeared into the ether. I think yours was in that batch. John is looking into it now and will be in touch. I just sent John an email about this before I saw this post. Glad you’re on it. Thanks.